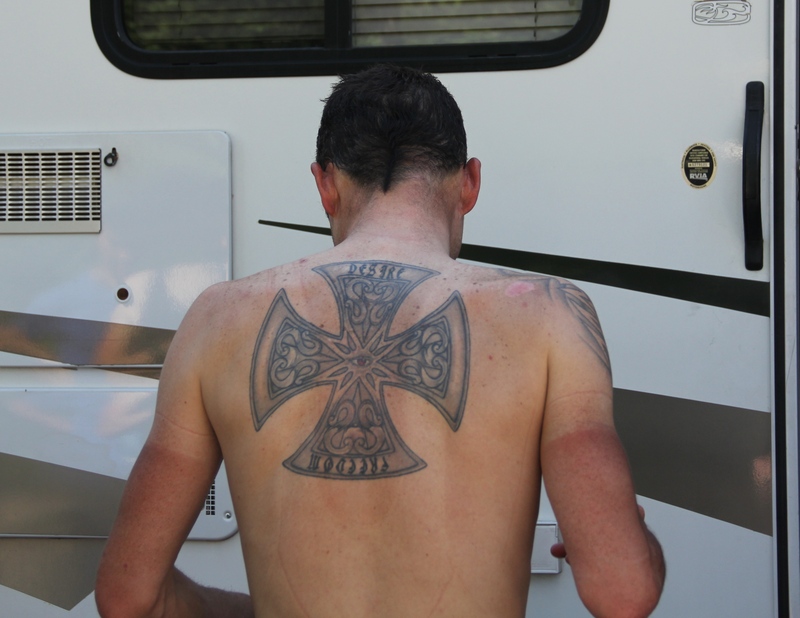 Ten professional cyclists, ten tattoos. Can you match all of the guys with their tattoos? Guess the first five here and the next five in part 2 of this post. Photo credits will be revealed after the answers are divulged in part 3. Inside the bicep…a somewhat intimate location, only revealed in certain positions like here, warming up on a time trial bike. 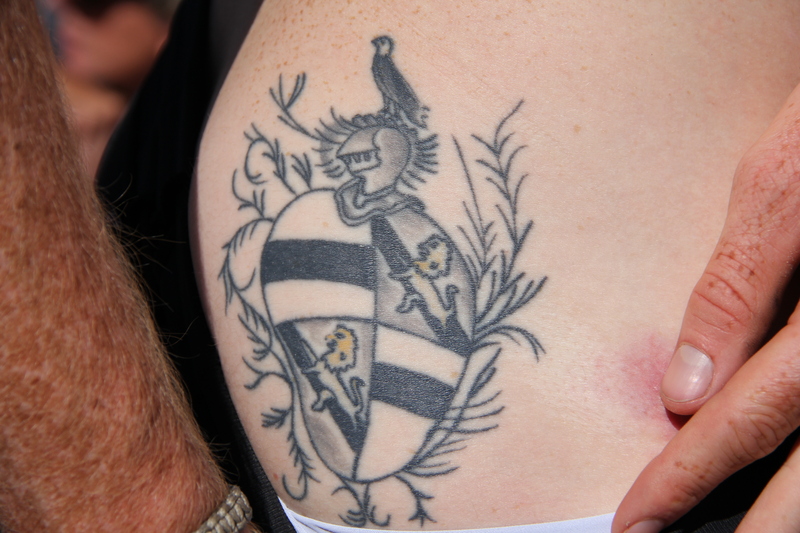 To see this family crest, the rider has to roll down his bib shorts a bit. Just a bit. Art on the back is only revealed when the owner is shirtless. Hmm….like after a terrifically hot stage in an American race. Whose counting here? Numbers can mark anniversaries or another special event…like what in this rider’s case? Another inside of the bicep message, its meaning secreted in a symbolic alphabet. I guessed too! I had no clue! I only knew one, guessed the rest! Great idea, Mary!